The Target Corporation is the second-largest discount retailing company in the United States. With 1,797 stores in the U.S., Target is a brand name in every home, offering a complete center for all of your daily and household needs. In addition to these large retail stores, Target has the SuperTarget hypermarkets to further provide your shopping needs with everything in one place. Target first opened in 1962 in Minnesota under the Dayton Hudson Corporation. After a huge growth in division the Dayton Hudson Corporation changed it’s name to The Target Corporation. In 1995, The Target Corp. opened it’s first hypermarket in Omaha, Nebraska. The Target hypermarket carries all of the regular Target merchandise in addition to having a full grocery selection with fresh produce, bakery and deli, and most locations having an optical store. In addition some locations have a Starbucks Coffee, Pizza Hut Express, Taco Bell Express, a pharmacy, a portrait studio, and a bank. SuperTarget stores are not open 24 hours. In 2001, Target chairman and CEO Robert J. Ulrich announced that Supertarget will be the “preferred” store format for all Targets, where space permits. Target has 1,522 stores, 251 SuperTargets, and 5 City Targets. I’ve been a WalMart shopper since the early 80’s. I was told the Target in Kenner LA had Frozen Nite Hawk dinners. I soon switched to Target as my first choice for food and other items. For some reason the Kenner Target pulled them off the shelve. I haven’t been back since. Is there only 1 super target in Illinois? 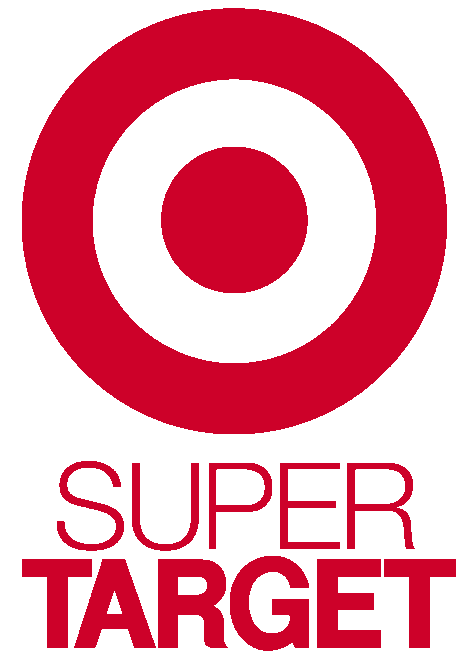 How can I find the SuperTarget closest to me-the regular store locator doesn’t differentiate between regular and super stores. Why have all Blue Bell Ice Cream products been pulled from your shelves. I was at your Grand Prairie, TX Hwy 360 @ Camp Wisdom store last night and they had pulled all Blue Bell Ice Creams, not just the cookie dough flavors. Wow I never knew there was a super target!! !